Sweet rationing ended just before Coronation Day. Many children had never known what it was like to go into a shop and buy what they wanted without a ration book. Shopkeepers must have seen an increase in business with all these young shoppers spending pocket money. 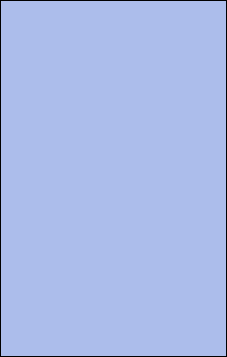 Upwey Coronation Committee: Chairman Mr Beaton; Secretary Mr S Stokes; Treasurer Mr H Carter. Mr Fosbury; Mrs Grove-White; Mrs Kenyon; Mrs Moon; Mrs Newton; Mrs Samways; Mrs Warne; Mr Bishop; Rev Bryant; Mr Churley; Mr Pouchman; Mr Shute; Col Thoyts and Mr Trask. 7 April - Coronation Football Match - Upwey Ladies v. HMS Osprey at Redlands with proceeds in aid of Upwey Coronation Fund. Upwey's Coronation programme started with a simple service of dedication in the field at Westbrook Farm. It finished with a real barn dance on the farm, the firing of a maroon and the lighting of a bonfire on Ridgeway Hill. Entrants in the fancy dress competition marched in procession through the village and formed up on the farm field where the service was led by Rev Bryant, Rector of Upwey and Rev J Bennett , Upwey Congregational Church minister. Judging of the fancy dress took place amid short showers of rain which completely failed to dampen the enthusiasm of spectators and competitors. Then followed a merry medley of sports; Punch & Judy shows and sideshows, and of course a bumper tea for the children. Early in the evening came the display of children's country dancing and the presentation of the souvenir coronation mugs. Tug of war won by Chapel Lane Team. Ham on a Greasy Pole won by Bruce Rogers who also won the pram race. A Coronation Peal of Bells was rung in the evening under captain John Bryant. The bonfire on Ridgeway was lit by veteran bonfire lighter George Hansford age 80. 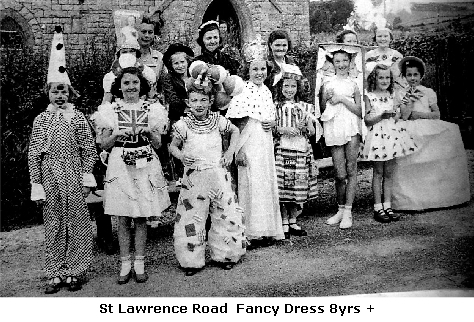 6 June - The St Lawrence Rd party, held in the schoolroom of the Congregational Chapel, was opened by comedians Val Merral and Slim D-Gray of Coronation Revels. The two comedians entertained over 80 children and were presented with carnations. Highlight of the tea was a Coronation Cake which was cut by Rev and Mrs J Bennett. The talent competition was judged and prizes given out by Mrs Bennett. Each child received a souvenir spoon. Later children were entertained by conjuror San-Sum of Dorchester; a film show and firework display. 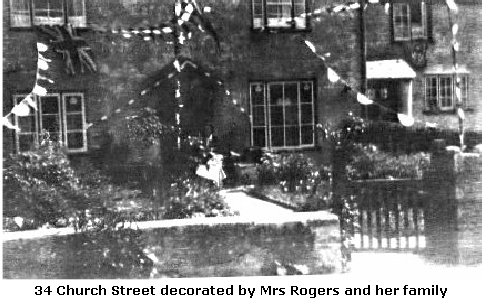 The street was well decorated and prizes given for best houses and flats. June - School children were taken to the Odeon Cinema in Weymouth to see 'A Queen is Crowned' - the official record of the Coronation. 24 July - At the final meeting regarding Coronation Festivities held in the Reading Room it was decided to erect a permanent memorial to commemorate Coronation Year with the balance of £33 from the collection of £247. It is to be used to replace the seat erected by public subscriptions 50 years ago 'for the old men' in Dorchester Rd at the foot of Ridgeway. 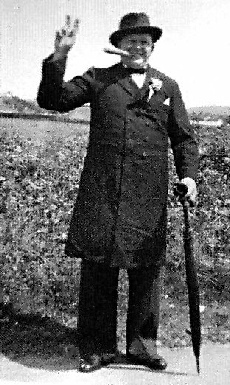 A vote of thanks was given by Rev James Bennett to the Coronation Committee and especially the chairman Donald Beaton for the successful way the celebrations were carried out on Coronation Day. The Queen's Coronation Medal was awarded to Miss J A Corbin, sub-postmistress at Upwey for community contribution. At 91 Miss Jane Corbin was believed to be the oldest sub-postmistress in Britain. Miss Corbin has been at Upwey PO since 1890 whe n her father became sub-postmaster. She took over from him in 1905. 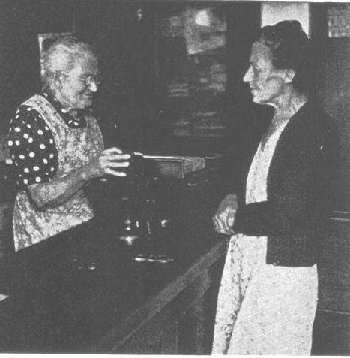 Despite her age Miss Corbin was still active in the work of running the post office. She told the Echo reporter 'Retire? Not yet. I like to keep going and use my brain.' Miss Corbin has been assisted at the PO by Miss Alice Dunn for the last 31 years. In April Mr Stokes asked, on behalf of the Upwey Coronation Celebrations Fund, for a free let of the hut for a social. 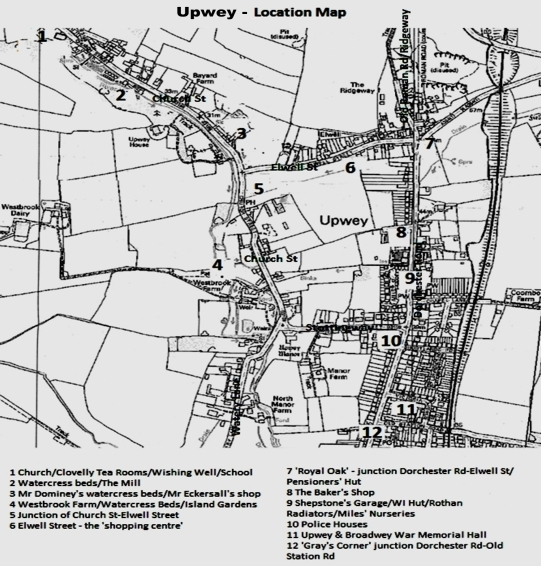 It was however agreed that we should make a donation of £1 each to Upwey and Broadwey and 10/6 (the cost of the performing rights) to give a play at Radipole. A garden party was held for members only to celebrate the Coronation and 35th Birthday Party at Southbrook. It commenced with the national anthem and all members wore a buttonhole of red, white and blue flowers. A photograph was taken by Herberts. Mrs Borradaile Bell had made 216 Coronation Parrots(?) which were sold and raised the cost of 5 new chairs. Extra copies of the Coronation issue of Home and Country magazine were available. 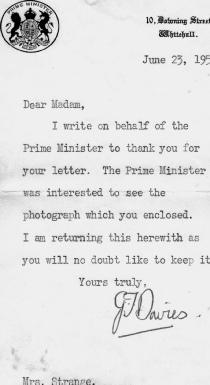 The Secretary wrote to Miss Corbin congratulating her on receiving the Queen's Coronation Medal in recognition of her long service at Upwey Post Office. Celebrations in Broadwey began on 22 May when a Coronation Mug filled with 5oz of sweets was given to each child at the school by Weymouth Corporation, who also gave £11.10.00 (being 1/- per child) towards the cost of a Celebration Tea to be held in Broadwey Secondary Modern School canteen on 2 June. 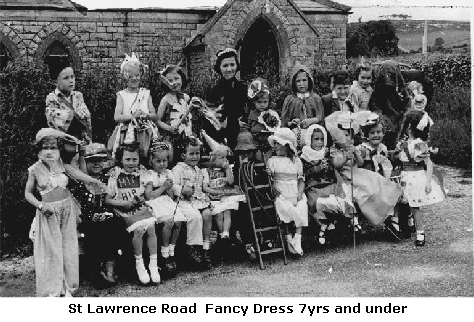 2 June - Coronation Celebrations for Bincombe & Broadwey began at 3pm with folk dancing at Broadwey Secondary Modern School followed by the children's fancy dress parade with prizes. Before the sports began there was a children's tea and buffet for adults. At 7pm there was a challenge tug of war between Bincombe and Broadwey (Bincombe won). A parade of decorated bicycles and open air dancing on the playground rounded off the day. Fancy Dress prize winners: 1st Royal Coach and Queen - C and G Wiltshire; 2nd Horse Guard - C Morris; 3rd Robin Hood - R Smith; 4th Fairy and Herald - A and J Spicer. Some 28 consolation prizes were awarded; three prizes for decorated bicycle were given and there was a prize for an adult fancy dress entry - won by Mr Ford. 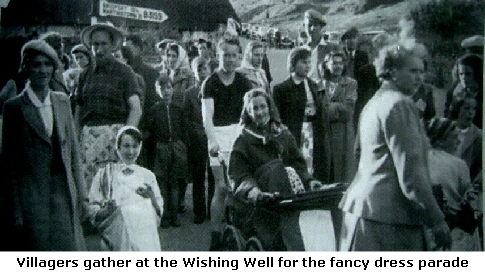 6 June - Coronation Celebrations were held at The New Inn, Littlemoor Road. Opened by Mr H Medlam, Deputy Mayor, and Dr Pridham at 2.30pm there were Sports followed by Punch & Judy . After tea in the New Inn car park there was a Fancy Dress Parade; more Sports including a Ladies Tug of War and then a Dance. 86 children received souvenirs, oranges, apples and bags of sweets; while 21 OAP's will receive souvenirs. June - Broadwey Veterans held a Coronation Party in the Reynolds Institute which was gaily decorated with red, white and blue garlands and flowers. Mr HA Medlam, asked everyone to rise to sing the National Anthem before they commenced tea. The Rector Rev D Galloway said Grace. After the jellies and trifles had been disposed of, the iced Coronation cake, the gift of Mrs Medlam, was cut and handed to every veteran present and Mrs Medlam also asked every helper to accept a Coronation caddy spoon as a token of her appreciation for the work done for the Club. Cake and souvenirs were sent to those members unable to be present. Afterwards Mrs Hatton, accompanied by Mrs Bonngard, delighted all with her singing. This was followed by a conjuring performance by Mr E Abbott. Time passed all too quickly and after Mr Gosney and Mrs Wildman (both members of the Club) had sung some songs from their repertoire, the party broke up. Later in the week there was an outing for the veterans when a coach took them for an evening tour around some of the neighbouring villages, where, it was hoped, the Coronation decorations would still be showing.